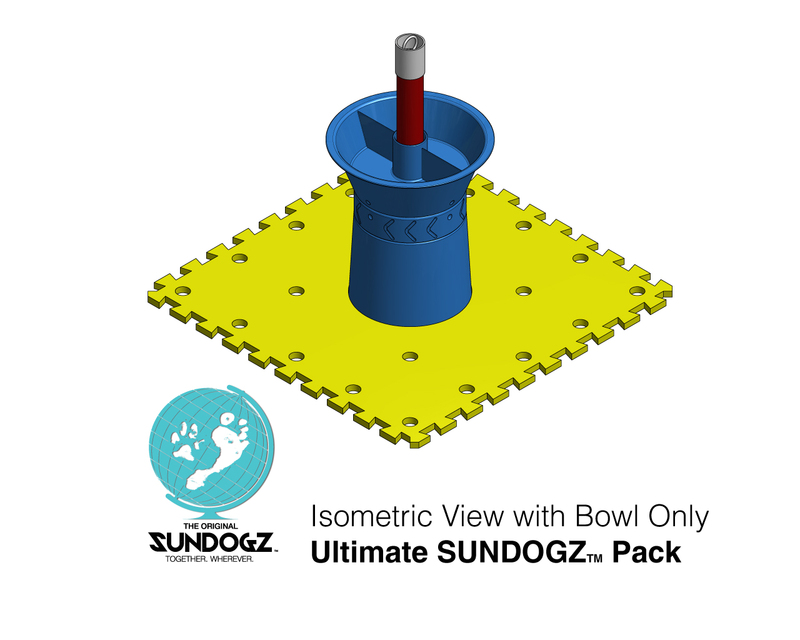 Our Product - The Original SUNDOGZ Together, Wherever! The SUNDOGZ™ is a lifestyle and recreational accessory that is made from UV stabilized marine quality composites for durability and strength. 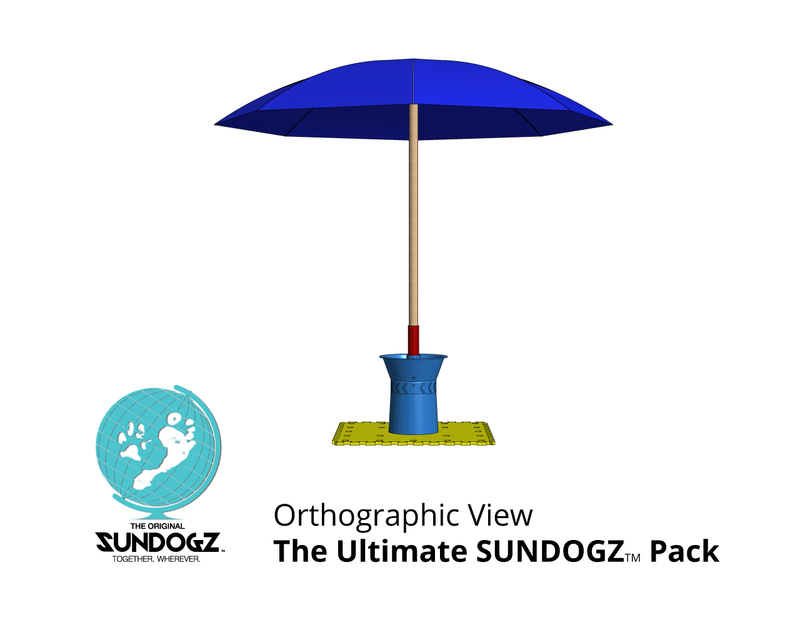 The SUNDOGZ™ is compact and versatile across all terrains, light and easily assembled. SUNDOGZ™ tethers, rotates 360 degrees (tangle free), hydrates, feeds and shades your beloved dog. 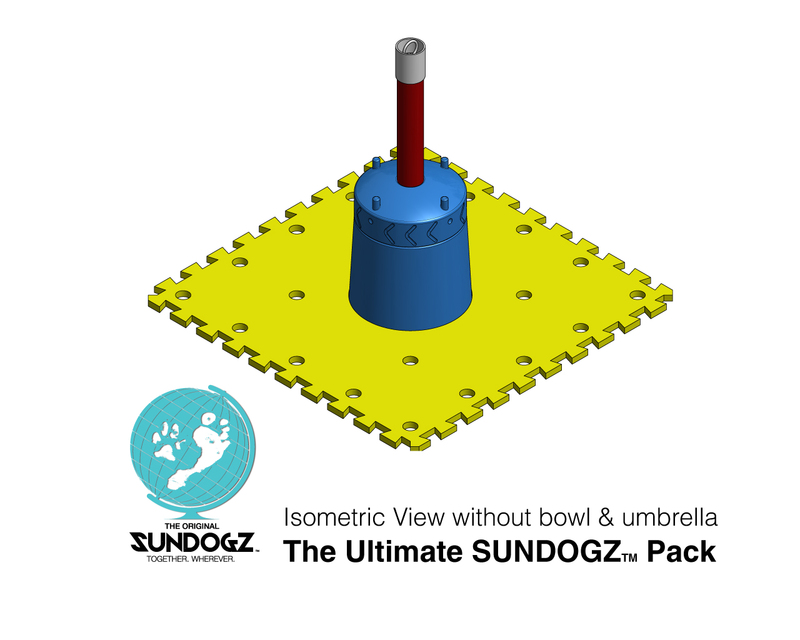 SUNDOGZ™ also keeps your valuables safe, dry and clean within the main body of the accessory. The purpose of SUNDOGZ™ is as a portable and temporary accessory to assist you to access the great outdoors with you dog. It is not intended or designed to be used as a permanent tether for your dog. Dogs are to be supervised at all times by an adult while tethered to a SUNDOGZ™. SUNDOGZ™ has undergone Independent certified non-destructive testing (load and force Kg/m) to a consistent strain of 80kgs. SUNDOGZ™ is a recreational product for the average dog and is not intended or designed to tether specially trained dogs (e.g Police dogs, military service dogs, security dogs, guard dogs etc).